The third-annual Maryland Wine Month is just around the corner! As we kick off Maryland Wine Month this Friday, we encourage all of you to review the Maryland Wine Month promotional information below and check out the Maryland Wine Month page on the MWA site to see what your consumers will see when they visit! Read through the information below for ways to help promote Maryland Wine Month. Be sure to mention Maryland Wineries Association in your posts–this allows us to expedite sharing your content via reposts and comments. The goal of the social media efforts for the 2019 Maryland Wine Month is to promote both your business and our industry. By using some of the content suggested below, we hope that your followers and consumers will embrace your brand and be encouraged to champion Maryland wine! Increasing the profile of Maryland-made wine should include a focus on the retail partnerships that exist in the market. The Maryland Wine Month Retailer of the Day will promote a unique Maryland wine retailer each day. The goal is to point consumers to those retailers that support Maryland wineries and offer a great experience for wine consumers. To nominate retailers for the 2019 Maryland Wine Month Retailer of the Day, please fill out THIS FORM. The intent of this contest is to increase engagement with Maryland Wineries Association social media followers. We will ask followers to tag their images with the #WeAreMarylandWine hashtag for submission. 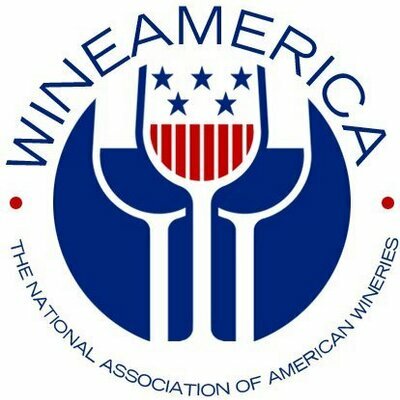 Hopefully, this campaign will encourage consumers to learn about Maryland Wine Month and afford us a way to present information about Decanter to consumers who are competing for passes to the event. 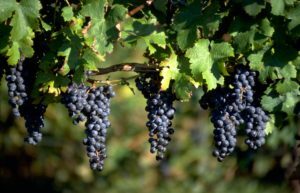 The 2019 Maryland Wine Journey encourages wine enthusiasts to embark on their own, self-guided Maryland wine adventures. While there has been some limited success in the past with Maryland Wine Month Challenge Cards, the hope is that consumers will be more focused on participating with members by attending your unique events and visiting the retail partners that help to support to the industry. Ideally, this concept results in more participation from wine enthusiasts in the Maryland Wine Month Social Media Challenge. Our members can’t wait to celebrate the 3rd annual Maryland Wine Month. We invite you to join the celebration. Get out this March and explore Maryland’s delicious wines and visit our beautiful wineries. As the industry grows in the state, it is your support we rely on! 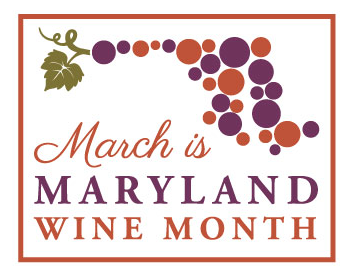 If you’d like full details about the Maryland Wine Month celebration and a growing calendar of events, then please visit this link! Thanks for participating in Maryland Wine Month. Your support of our great industry is awesome. Be sure to share your Maryland Wine Month pictures, then tag us for shares and follows! Maryland Wine Month is right around the corner and we can not wait! 2019 Craft Beverage Map Info. Take a moment to review your listing on the 2019 version of the Maryland Craft Beverage Map. We are still updating the rest of the map, so please only focus on your listing. Email kelly@growandfortify with any edits by Friday, February 8, 2019. To be included on the map you must be open to the public (or will be by 6/2019). You must be a member in good standing, meaning that you are current with 2018 membership dues. We do not include individual operating hours, but we specify on the map that the establishments listed have varying hours and to please call or visit their website before planning their journey. You receive one listing per membership. If you have any edits, or believe you should be included on the map, please email kelly@growandfortify by Friday, February 8, 2019. If we do not hear from you by 2/8, we will assume that your listing is correct.